Shelf-Awareness.com just posted the post popular books list from the 2016 New York Public Library System. There are 92 New York Public Libraries in the New York City area. According to the article, 25 million items (books, tapes, etc.) were circulated in 2016. I am pleased to see that my favorite title, for personal and professional reasons, When Breath Becomes Air by Paul Kalinthi, M.D., was no. 1 in its non-fiction area. It was followed by high readership of Being Mortal: Medicine and What Matters by Atul Gawande. M.D. (See my comments in previous blog about best-seller book lists for 2016). Both books are about quality of life at the end-of-life. I work with health and mental health authors as a book shepherd and marketing person. Other than subjects of physical and emotional pain (and how they possibly correlate with one other), I am most interested in the subject of facing end-of-life. 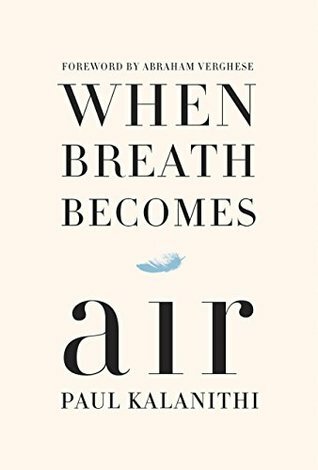 The most meaningful book I read this year, and obviously the most meaningful to others according to the NY Times best-seller list, was Dr. Paul Kalinthi’s intelligent, poetic When Breath Becomes Air. It is about how he, a young neurosurgeon who receives a diagnosis of terminal lung cancer, chooses to live and share his last days. I am sorry to say the Spanish translation in Mexico is entitled The Good Doctor which makes it sound egocentric and uninteresting, though translators would argue with me that the original title would never sell in the country. In any event, I urge all appreciators to discover When Breath Becomes Air if you haven’t already. It makes two important points – we never know when our days in this lifetime might pass, and, if we can, prepare for that day in the most sacred way possible. Below is the link to London Telegraph‘s Best Book List 2016.